Thank you for visiting CatTalesCT.org. This policy explains the what, how, and why of the information we collect when you use this site. It also explains the specific ways we use and disclose that information. We never sell email addresses we collect. 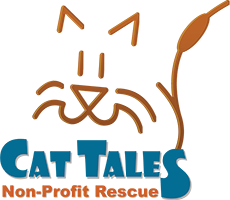 In this document, the terms ‘our’ or ‘us’ or ‘we’ refer to the owner of this website which is Cat Tales. The terms ‘you’ and ‘your’ refer to the user or viewer of this website. Ads appearing on this website may be delivered by advertising partners, who may set cookies. These cookies allow the ad server to recognize your computer each time they send you an online advertisement to compile information about you or others who use your computer. This information allows ad networks to, among other things, deliver targeted advertisements that they believe will be of most interest to you. We may use Google Analytics to collect non-personally-identifying information of the sort that web browsers and servers typically make available, such as the browser type, language preference, referring site, and the date and time of each visitor request. Our purpose in collecting non-personally-identifying information is to better understand how our visitors use this website. If you choose to enroll in our mailing list, we will collect your email address and name (if you provide it) for the purpose of sending you an informational email newsletter from time-to-time. We will not sell your email address to any third party other than the email list provider. We also collect potentially personally-identifying information like name, phone number, and email addresses for users who want to contact us via our contact forms or sign up for an event. We reserve the right to email you to answer your inquiry or regarding the event you’ve signed up for. Your email address will not be placed on a mailing list or be sold to a third party. 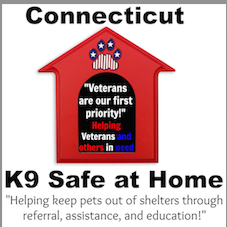 Our Website may include social media features, like the Facebook Like and Google+ buttons. These features may collect information about your IP address and which page you’re visiting on our site, and they may set a cookie to make sure the feature functions properly. Social media features and widgets are either hosted by a third party or hosted directly on our site. Your interactions with those features are governed by the privacy policies of the companies that provide them.